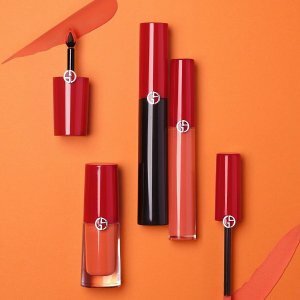 Giorgio Armani Beauty offers 15% off with Lip Maestro Liquid Lipstick purchase，via coupon code DEALMOONSINGLES . Receive a complimentary Armani Lips Deluxe Samples Clutch when you spend $150+. Deal ends 11/12 3:00 EST. Offer cannot be combined with other promotional offers. Cannot be used on Privé, eGift certificates and gift sets. Gift with purchases require a $150 minimum spend after discounts, before shipping and taxes. Available only while supplies last.